Starting up business in China can be daunting and frequently overwhelming, expect that people; friends, business competitors and customers alike, will offer you their words of wisdom, their experiences and informed advice (often, one contradicting the other). There are a vast number of articles available that express ‘know how’, with little – if any – attention in regard to clear solutions that new businesses will face in the colossal arena of Chinese business. Business in China is a succession of problems and solutions. Obstacles will fly at you from all directions, and they may even knock you down, planning and implementing the best solutions may yield outstanding benefits for your newly operating business in the world’s most lucrative market. Here is my pragmatic guide that will pave the road to success for new businesses braving the unfamiliar yet exciting Chinese market, highlighting frequent problems and their solutions. It will come as no surprise that the Chinese market is gargantuan, fiercely competitive and most of all exceptionally rewarding if handled correctly. China has a population of 1.4 Billion, which is nearly double that of Europe and greater than the entirety of the western hemisphere. 350 Million of those people are considered ‘relative middle class consumers’, these people have money, and they’re ready to spend. The problem is, how can you cost effectively make a big impact in huge market? Ever been on the Shanghai metro when it’s 35C outside, everybody is sweating, smelling, and invading your personal space? Yet, the locals remain unfazed with faces illuminated by the lights of their Smartphone. That is because everything in China is digital, people communicate, browse and shop directly through their phone. Digital marketing is the most cost effective way for a new business to flourish. 900 million people in China are connected to the internet, they spend an average of 1.5 hours per day browsing the web which makes a digital presence an absolute no brainer for any business. Compared to TV ads, electronic billboards or event promotions, all you need is a laptop (or a phone) and a little savoir faire and your business could be beaming through the screens of an estimated 550 million Smartphones. You need to be promoting your business where your audience are most active; this is online. Your glorious reputation visible online for the rest of the world, via Google, Facebook or Youtube is now entirely invisible and worthless, welcome to China. For better or for worse, China deems it necessary to have internet restrictions and this will sadly undo all of your previous hard work in regard to the digital presence you established back in your home country. More bad news, popular Chinese search engines such as Baidu, do not pick up English text in their search, particularly if it is via a webpage that is already blocked here. The solution is to build visibility online with a comprehensive marketing strategy and high quality Mandarin content. Impressive Mandarin content and good strategy will not only contribute toward your online presence, but it will bolster your company’s reputation. Being unable to access your beloved online world might at first seem like a drag and hindrance, however it can present opportunities within itself. Firstly, any of your previous competitors are now invisible too, you’re the new kid on the block with an exciting business idea and your rivals of yesterday have no way to prove otherwise. Secondly, this gives you a strong platform to build upon, your previous competition is non-existent and your horizons are broadened with a fresh perspective and new ideas. Finally, use your international status to your advantage, mention that, even exaggerate that, the Chinese consumer loves to know that they’re using a prestigious and respected western service. WHERE TO START IN SUCH AN ENORMOUS MARKET? Europe is a continent which hosts over 50 countries, 23 languages (at least), over 10 million km² of land and more than 700 million people. Now remember my earlier point of how China is twice as populous as Europe and still growing, not only in terms of people but also affluence. The big question, where to start? Firstly, I’d like to say that in such a vast market, it is key for new businesses to pinpoint and focus on their primary demographic and audience, rather than aim toward a broad and unspecified consumer demographic and ultimately lose focus. Not only are they the most populous, but flocks of have expatriates fled to the illustrious Tier 1 cities along China’s east coast. The international communities are many, they are wealthy, the lifestyle is indulgent and the culture is becoming ever more cosmopolitan. Consumers in these cities are more likely and ever-ready to indulge within international businesses, the infrastructure and services are already in place for efficient delivery, state-of-the-art office space and speedy development. In addition, with such a wealth of user information online a digital marketing strategy can target consumers in specific areas as well as consumer demographics very accurately. HOW DO YOU IMPROVE YOUR VISIBILITY WHEN GOOGLE RANKINGS ARE NOT VALID? SEO (search engine optimization) and your ranking on Google is not taken into account in China. Google is completely blocked and can only be accessed via a VPN. You cannot rely on previous search engine marketing. 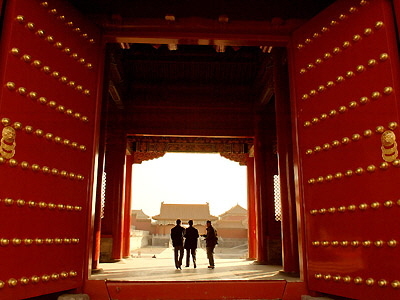 You must develop a Chinese website on Baidu, the largest search engine in the Middle Kingdom. Just like back in your home, if you needed a service, a restaurant recommendation, a trivial fact or you want to know the best place for yoga classes in your area, you’d look toward Google, in China web users utilize Baidu in the same way. Here, 70% of all online research is conducted via Baidu. It is – by a long way – the best portal for finding relevant websites based on Mandarin Character keyword searches. Baidu prioritize websites that are hosted on Chinese servers and with a .cn domain. The speed of loading time is very important to appear on the first page of Baidu’s search results. Then, your Chinese site can be made visible through optimizing your content, generating backlinks, sharing articles and auditing the back-end of the site with Chinese page titles, meta tags/descriptions etc.. Essentially it needs to be built and promoted in such a way that raises the ranking of the website in the natural search results. Ask yourself which serious professionals click on the ads? The solution is to focus on 15-20 Mandarin Keywords and overtime improve the ranking of the site based on this. The best quality traffic and leads are created by ranking highly on Baidu because you are appearing on closely related searches. Facebook, Twitter and the like are fabulous tools to show off your business, keep partners and consumers informed and to create a respectable reputation. Unfortunately for you, these platforms are blocked and anything they previously offered your business is now rendered useless. 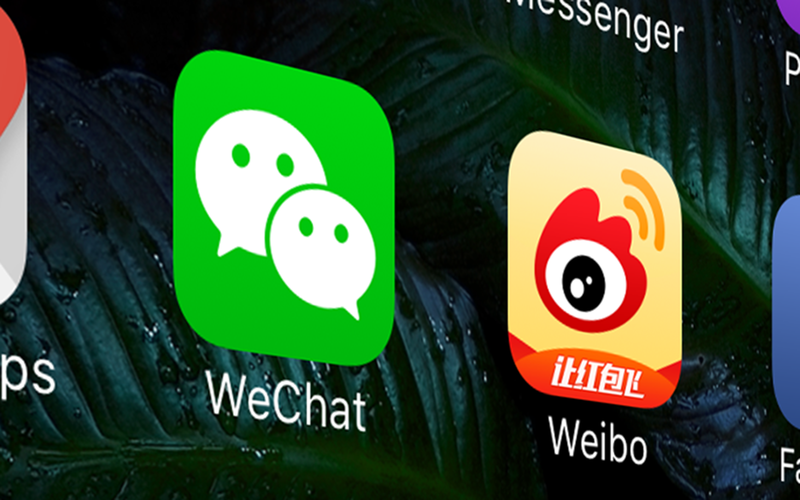 There is good news, Wechat and Weibo are bigger and larger, they have more active users and communities than their western counterparts. They are very intelligent platforms designed to integrate a host of helpful marketing tools for reaching your target and as mentioned before, in China people are glued to their phones as much as anybody where else in the world and utilizing the web is your ticket to success. 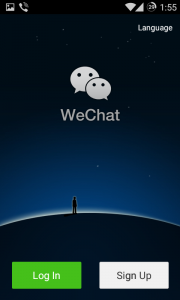 Forget about Facebook, embrace Wechat. Arguably the most advanced social network ever designed, a multitude of Facebook’s and other platforms most recent updates point toward inspiration (or blatant plagiarism) from WeChat’s already existing functions. WeChat now has over 850 million monthly active users. Within WeChat you can join groups of up to 500 users; this might not sound promising compared to Facebook or Twitter’s unlimited number on the amount of people who can opt to follow a certain page. However, these groups are often very specific and targeted, the groups are created out of interest and necessity for that demographic. Set up your account, gain access to these groups and you have the perfect opportunity to target and pitch your business at a very particular audience. Facebook and Twitter users are predominantly passive, ask yourself how many times a day you scroll your news feed aimlessly searching for nothing in particular? People inside these WeChat groups are active, they are seeking a service, information or business, make use of this fact and tap into what they are looking for. Similarly, to the way Facebook and Twitter are used, Weibo (literally ‘Micro Blog’) users can freely post and see posts from anyone. Fewer users than WeChat, at 300 million active monthly users, however with the freedom of posting and unlimited scope makes Weibo an absolute necessity for anybody seeking to promote their business in China. Web users in China spend an average of 40-60 minutes per day using social media platforms, expose your business them and make your company worthy of the users time and the possibilities of reach and profit are endless. A lot of companies existing content is obviously not geared up to the Chinese customer, not just because of the language barrier but because of vast cultural differences and customer needs. This may seem a big issue but with research, the right partnership to tailor your services and adapting the content correctly to Mandarin you can jump this hurdle. Simply converting your current English copy in an APP translator to Mandarin is not good enough. It won’t make sense and it won’t appeal to the Chinese market. Ensure that you partner with an experienced Chinese copywriter for optimum results; they will understand things that you may never fathom and will be abundantly useful for your business. COLLABORATE WITH GENTLEMEN MARKETING AGENCY. YOUR LOCAL TEAM. The problem for new companies is they are stepping into an unknown market. You need a trusted local partner on the ground to help you sail straight in the Chinese market and jump the hurdles that present themselves. We are an international team of 25 specializing in digital marketing, branding, business development & lead generation. We can be your partner ‘on the ground’ in China. We look to form long term relationships with serious projects. We are your local team on the ground here in the aptly named ‘mysterious orient’. Contact our experts for a free consultation about your project. How to Market your New Business in China? Hi Benji. Nice article. Can you please tell me if it is possible to register a domain name in China and forward it to a social media account? Many small businesses globally have been doing that for their Facebook pages, rather than having a website. It seems like a practice that would make even more sense in China where most small businesses only have digital presences on social or directory sites. Thanks! 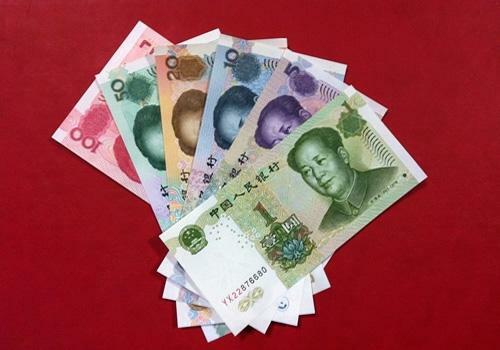 What Makes The Chinese Market Profitable?